Just start writing they say. Whatever comes out. Let it flow. “Writing down the bones”, as author Natalie Goldberg says. Allowing thoughts to transform that blank page. No holding back. Even correcting and editing should wait until a lull in the flow of words. Just get started…past the hump. Don’t interrupt. Somewhere inside there is something to say. Something profound or relevant to share. But just beginning is the hardest. I ask the fairies of writing to descend upon me in glorious splendor!! And that cursor sits and blinks. I invoke the powers of the divine mind to help me and then my foot itches. Ah it must be a sign, right? But it’s just never comfortable enough to begin. I must have quiet. House must be clean. I must not be hungry or sore or in pain or itchy or anything that can distract me from writing. The conditions must be perfect. The stars must be magically aligned. (I notice all kinds of typos above and I resist the urge to correct them immediately). And then the doubts creep in: What in my life is relevant to anyone? What is going to matter? This feels silly. This is all garbage and I’m going to delete it anyway so what’s the point? No one cares. Poor me! 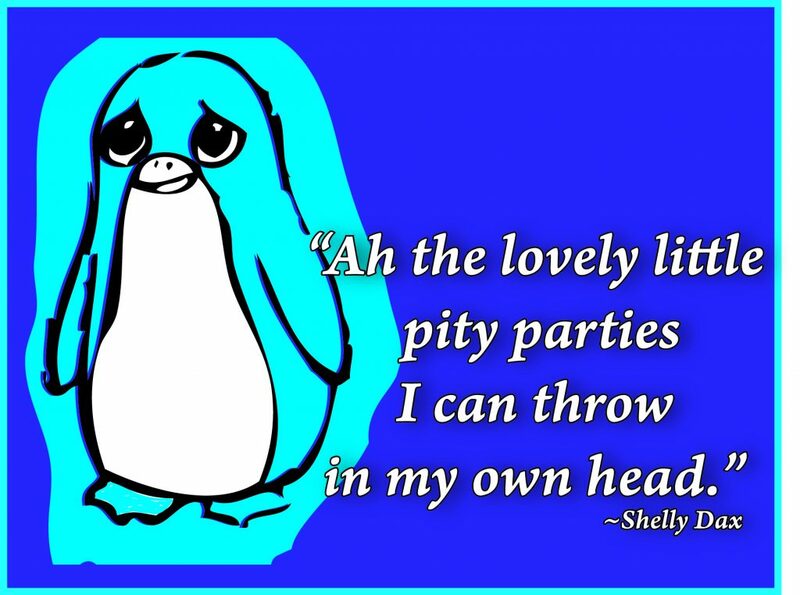 Ah the lovely little pity parties I can throw in my own head. I shoo those thoughts away and urgently ask the guardians of written word, the muses, the caretakers of literature to bless me. And the biggest “reason” I can’t write: other people’s stories are more important than mine. They have more thrilling, dramatic stories than I do…near death, talk to angels, children dying, psychic abilities, surviving accidents or cancer etc. I’m just sure I was born in mediocre-Iand. And that brings me back full circle to the doubts creeping in. Wheee…it’s a merry-go-round! Suddenly my higher-self, that connected and grounded part of me, yells STOP! My low self-esteem is startled. Then, as if by magic, the list is exhausted, I settle in, I move my fingers, my body relaxes, my ego takes a nap and the words begin to glide from my soul, bypassing my bewildered brain. As Tony Robbins suggests, I ask myself some better questions: Can I believe that something I’ve been through matters? Could my experience and growth and expansion really help someone else? Could my writing be a source of support, inspiration or enjoyment for even one other person? Hell yeah! So let’s do this baby! And here is the deal…for me writing is not an option. It has always been there. It is always tapping me on the shoulder. It wants to be freed. It is always nagging at me like a cranky baby. It wants to be born. I can no longer neglect the intense desire because of excuses or doubts. It is the “choiceless choice” that Kendra Thornbury talks about. When you ignore the call, life becomes a struggle. When you distract yourself with any number of diversions…it becomes more loudly insistent! And so here I am…giving in, listening closely, minding the baby, and shedding the excuses. I am a writer. And I shall write. From BOO HOO to WOO HOO!